Florida has traditionally been characterized as a haven for retirees, but the Sunshine State is a great place to live at any age. One of the main reasons people tend to flock here is the milder climate. Winters are cool but not cold, and the summers pack plenty of sunshine and warmer temperatures. Housing prices are once again on the rise and the largely tourism-driven economy is going strong. Florida's beaches are one of the most popular attractions, but that's not all there is to see and do. Whether it's hiking through the Everglades, shaking hands with Mickey Mouse, or brushing up on aerospace history at Kennedy Space Center, there's something here for everyone. The state prides itself on its cultural diversity, with everything from food to art inspired by Florida's unique blend of Spanish, Cuban, and Caribbean heritages. When a move to Florida is in the cards, it helps to do your research when scouting out potential locations. If you're a current resident who's planning to relocate, you've got a distinct advantage. Making a final decision may be tougher for newcomers. To make the process easier, the CreditDonkey experts have ranked the best cities to live in Florida. We know that finding a safe place to live is always a top priority, especially for families. For each city on our list, we've broken down the odds of being a victim of violent crime. The drive to work should be a pleasant one, not an exercise in frustration. We looked at commute times and only included cities that had an average commute of less than 30 minutes. Attending college has a direct impact on your earning potential, and generally speaking the more educated you are, the money you'll make over the course of your lifetime. For the cities on our list, we looked at the percentage of residents who attended some college and its correlation to average income rates. Finally, we considered the number of restaurants per capita that each city had to offer. The smallest city on our list has more than 80 restaurants to choose from, while the largest boasts more than 1,500. 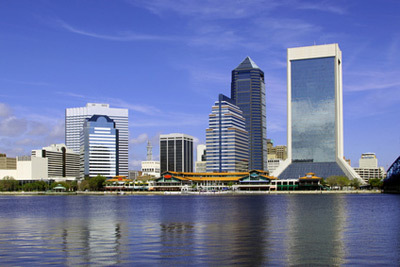 Situated between Fernandina Beach and St. Augustine, Jacksonville is a major metropolitan area whose population is quickly approaching one million. Its moderate climate, relatively low cost of living and thriving economy make it an attractive place to call home for professionals, families, and retirees. The city features one of the largest urban park systems in the country, and the beach is just a short drive away. Did You Know: Explorer Ponce de León landed here in 1513, claiming the land for the Spanish crown before sailing off in search of the Fountain of Youth. Cape Coral sits just southwest of Fort Myers on Florida's Gulf Coast. The city was founded in the 1950s as a planned development, attracting a large community of retirees, but today Cape Coral's population is largely comprised of young families. Crime here is low, with the odds of becoming a victim of violent crime 1 in nearly 700, and residents have their pick of close to 200 dining choices. Did You Know: Cape Coral is home to the Nile Monitor Lizard, considered one of the most dangerous invasive species in the U.S.
Clearwater is also located on the Gulf Coast, just 45 minutes west of Tampa. The city's population represents an even mix of families, single adults, and retirees. There are more than 300 restaurants to choose from, and commute times average less than 22 minutes. Its white sandy beaches, close proximity to Orlando and unique local attractions earned Clearwater the top spot in the USA Today 2013 Reader's Choice rankings for Best Beach Town in Florida. Did You Know: The Philadelphia Phillies head to Clearwater each year to attend spring training at Bright House Field. Delray Beach sits on the Atlantic Coast, directly between West Palm Beach and Boca Raton. The city originally began as an agricultural center, but it's since become one of Florida's most popular destinations for summer vacationers, winter snowbirds, and year-round residents. The downtown area offers diners everything from sidewalk cafes to five-star cuisine, and afterwards, you can take in the nightlife on Atlantic Avenue. Did You Know: In 2012, Delray Beach was voted “America's Most Fun Small Town” by Rand McNally and USA Today. For residents who are looking for a quiet place to call home while still remaining close to the Miami metro area, Davie is our top pick. 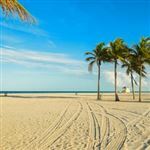 This town of just over 90,000 residents is less than a thirty-minute drive from Miami and Fort Lauderdale, making it ideal for professionals. It's also a major draw for students, hosting local campuses for the University of Florida and Florida Atlantic University. The average commute time tends to be slightly longer at just over 26 minutes, but incomes here are also higher. Did You Know: The Miami Dolphins training facility is located on the Nova Southeastern University campus in Davie. One of the smaller cities on our list, Jupiter is considered one of the northernmost suburbs of Miami (metropolitan area). The city is a great choice for nature lovers, with Juno Beach, Jonathan Dickinson State Park and Lake Okeechobee all located nearby. Jupiter ranks third for income, with residents averaging more than $66,000 annually. Residents enjoy the city's varied dining scene, which features everything from the high-end tropical fare at Guanabanas to the local seafood favorites served up at Hog Snapper's Shack. Did You Know: One of the area's most notable attractions is the Jupiter Inlet Lighthouse, which dates back to the 1860s. Port Orange sits just minutes south of Daytona Beach in Florida's "Fun Coast" region. Crime here is extremely low, with the odds of becoming the victim of a violent act 1 in 924. There are more than 80 restaurants to choose from, but if you can't find something that suits your taste, you can check out what nearby New Smyrna Beach has to offer. If you're looking for something to do, why not take a stroll through Sugar Mill Botanical Gardens or steer a kayak down Cracker Creek. Did You Know: Port Orange was originally founded by abolitionist John Milton Hawks, who established the area as a settlement for freed slaves in the 1860s. At less than 19 minutes, Pensacola offers residents the shortest average commute time of any city on our list, and it's also the smallest in terms of population. Located on the northern Gulf Coast, Pensacola is 197 miles from Tallahassee to the east. 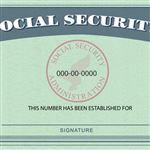 The city is geared towards families but there are still a fair number of retirees in the area. The Pensacola Bay area is a major hotspot for gulf cuisine, with Beulah sausage and crawfish considered top local specialties. Did You Know: Pensacola is the oldest European settlement in the U.S., founded in 1559 by Spanish conquistador Don Tristán de Luna y Arellano and his crew. Coral Springs got its start in the 1960s, when land developers moved into the area with the goal of creating a family-friendly planned community. Over the last four decades, the city has grown rapidly and today is home to more than 125,000 residents. Both crime and unemployment rates are low and average incomes are the second highest on our list. Did You Know: Due to the town's strict restrictions, Coral Springs earned notoriety in 1975 as the first city to feature a McDonald's without its trademark "Golden Arches" sign. Nicknamed "A City for All Seasons," Boca Raton is our number one pick with low crime rates, short commute times and well-above average incomes. Whether you're interested in soaking up the sun at nearby Delray Beach, playing a round of golf or hunting for deals at the Town Center shopping mall, Boca Raton offers the best of the best for residents and visitors alike. You also have your pick of nearly 400 restaurants, featuring choices ranging from Creole to Cuban. Did You Know: During World War II, the Boca Raton Army Air Field was the Air Corps' only airborne radar training facility. Packing up and heading to an unfamiliar city can be stressful, but it's also exciting if you're ready for a change of scenery. Getting a feel for a new place takes time but doing some research beforehand can put potential worries to rest. The cities on our list range from smaller suburbs to major metro areas, but their diversity is ultimately what makes them the best Florida cities to call home. Jupiter has never been part if metropolitan Miami. It is not even in Miami Dade County. Jupiter is north of West Palm Beach in Palm Beach County about 100 miles north of Miami. 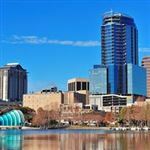 Share on Facebook "Study: Best Cities to Live in Florida"